This is the first time a high-end 4 channel audio mixer (10 stereo and 2 microphone inputs) has been combined with an up-to-date SD-Card player. This composition allows you to play up to 800 MP3s without having a CD player. The solution is the all popular SD-Card. The built in player supports SD-Cards up to 4GB, which is around 50 hours of audio. Only milliseconds are needed to read the MP3 files from your cards and the bright display shows you the ID3-tag. The "folder-search-function" allows you to sort your MP3s in categories, alphabetical or genre. Furthermore it is possible to search for the next song, while the actual title keeps playing, so that a seamless mix can be done. The structure of the SD-Card player interface is the same as common CD-players. This makes it even more "plug and play". The range of applications for the Q-SD is massive and offers new possibilities as well for example, background music for up to 50 hours in cafes without the need to switch CDs. Or the chance to play songs directly from mini SD-Cards (adapter needed) from your guests mobile phones. American DJ have once again shown why they are the strongest up and coming brand in the mobile DJ market with the superb Q-SD! Considering purchasing the American DJ Q SD 19" DJ Mixer with Built in SD Player? Have questions? Ask people who've recently bought one. Do you own the American DJ Q SD 19" DJ Mixer with Built in SD Player? Why not write a review based on your experience with it. 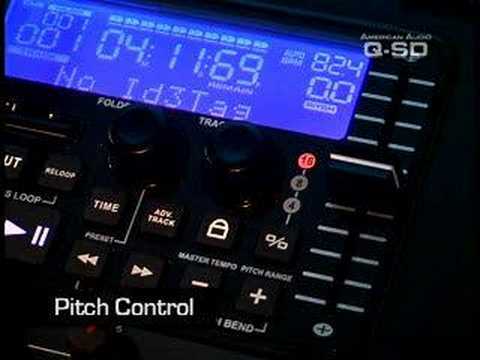 Seen a video for American DJ Q SD 19" DJ Mixer with Built in SD Player online or have you own video? 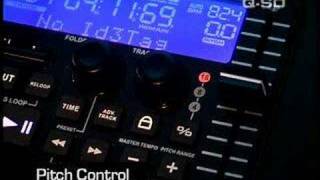 Check out American DJ Q SD 19" DJ Mixer with Built in SD Player on DJkit.com!